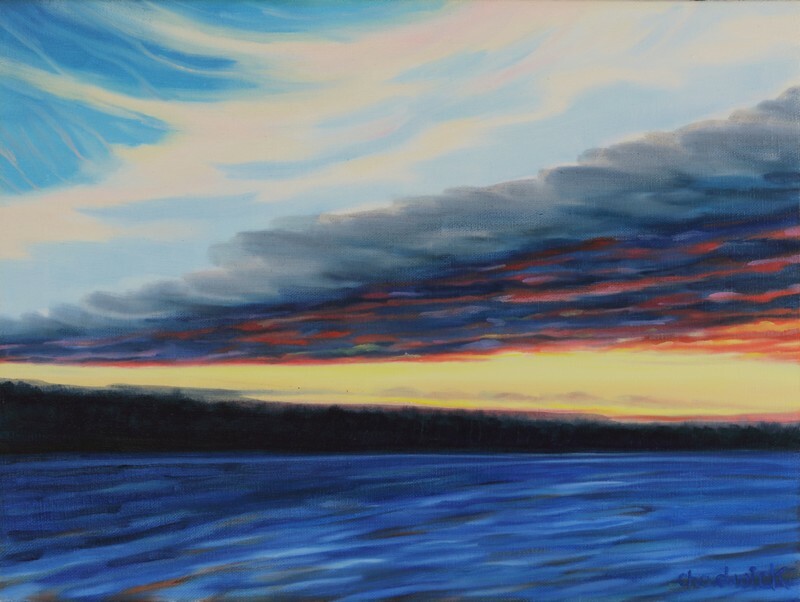 Phil Chadwick's Art: #0195 "November Sunset"
A deck of low altocumulus at sunset on the Rideau River in the fall of 1987. Cirrus dominated the upper atmosphere. 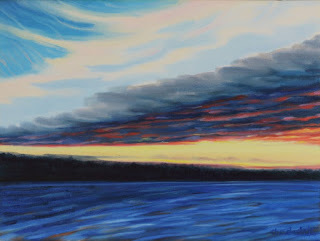 The leading edge of the cloud is known as a "deformation zone". Those lines in the sky reveal a lot about the weather. This is an example of red clouds and night, sailors take fright. There was a low pressure area on the way and the clouds tell the story of a warm conveyor belt.